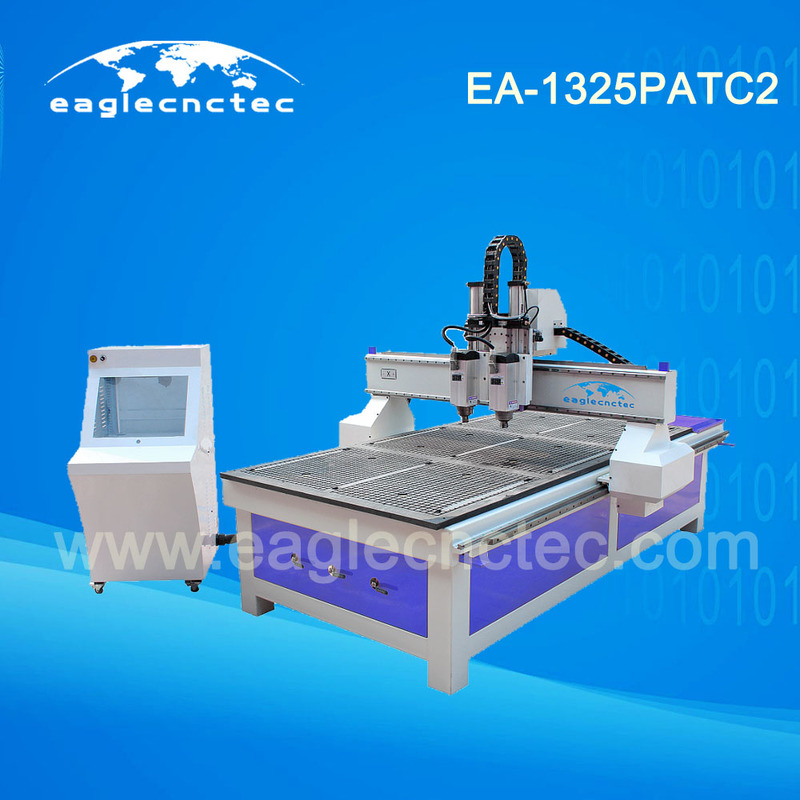 l It’s a high performance-to-price ratio auto tool changing machine, 2 spindles can be mounted with 2 different kinds of tools, and the spindle switched automatically via pneumatic cylinder. l T-slot Vacuum table with 6 vacuum zones, which can adsorb different size materials. You can also fix the work piece by clamp. tempering treatment and vibrating stress relief (VSR) to reduce residual stress; and it is supported by 6 legs with adjustable leveling feet. suppress and absorb the forces created during cutting. It is internally ribbed in order to stiffen the assembly; this design is minimizing the vibration while increasing accuracy and repeatability. extremely long life and ground for a very good accuracy; The Z axis is driven by a hardened Germany rolling antibacklash ball screw. guides allow for higher feed speeds and a better quality of cut.